Falconry: Dmitriyev Yuri. 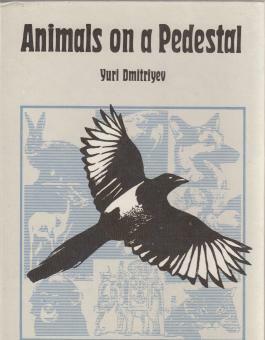 Animals on a Pedestal. Moscow, 1989. You are here: By Country | Rest of Asia | Russian Federation | Dmitriyev Yuri. Animals on a Pedestal. Moscow, 1989. Dmitriyev Yuri. Animals on a Pedestal. Moscow, 1989. 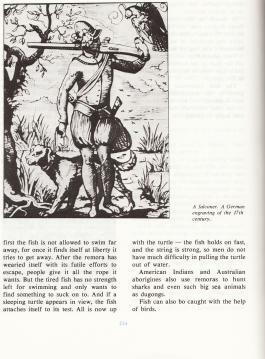 On p.214 A falconer. A German engraving of 17th century. On p.215. 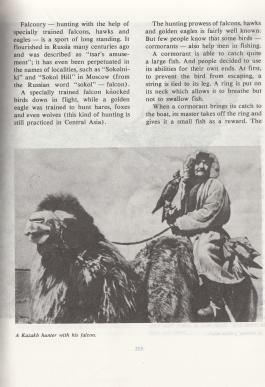 a Kazakh hunter with his falcon. 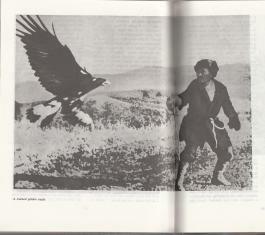 Photo on two open adjacent pages - A trained Golden Eagle.